Yusuf holds a PhD from School of Social Science, La Trobe University, Australia. He is a Peace Practitioner and a Research Associate at Department of Development Studies of SOAS University of London. His research has focused on peace building in conflict-affected horn of African countries, the role of Islam in peace and development in Africa, the role of arts and poetry in reconciliation and dialogue, emotional wellbeing, social healing, identity, belonging, social integration of young Africans and Muslims in western countries, African diaspora knowledge and skills transfer as nation-building. He has published widely in international academic journals and leading Australian newspapers such as The Age and The Sydney Morning Herald. Yusuf has worked as a consultant and researcher at Victorian Transcultural Mental Health of St Vincent’s Hospital in partnership with University of Melbourne. He also taught at La Trobe and Victoria Universities. In 2012 Yusuf was appointed as a member of the African Ministerial Consultative Committee for the Australian Federal Government (2012–2013). He was also appointed as a Global Advisor for Global Reconciliation in Australia in 2015-current; he is a member of the Advisory Board of Somali Studies published by the Institute of Somali Studies, Mogadishu University. 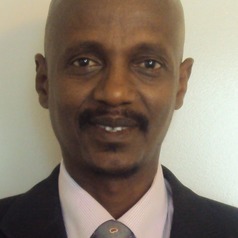 Yusuf is a Board of member of Global Somali Diaspora and Anti-Tribalism Movement based in UK.